Two days of driving with an overnight stop at Hurghada and another 3 am wake-up to catch the convoy brought us to St. Katherine monastery situated in the foothills of Mt. Sinai. We reached our destination with just enough time to scramble to the top of the mount for sunset. This we preferred to the alternative which was to ascend for the sunrise and which more importantly involved another 3 am wake-up! Mt. 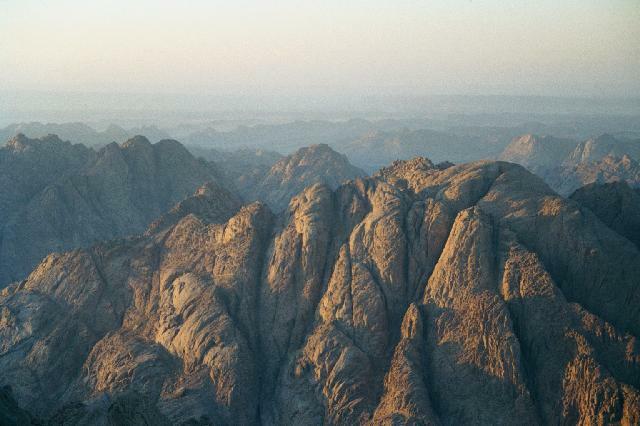 Sinai, 2285m above msl, is the second highest peak in Egypt and highest among its immediate neighbours. The highest peak in Egypt is Mt. Katherine, named after the patron saint of the monastery whose bones were transported to the top of the peak by angels. A three hour hike, final section of which involved walking up the steep steps of repentance, brought us to the summit from where we saw a spectacular sunset. At sunset all the surrounding hills seemed to glow in bright red colour adding to the beauty of the region. Mt. 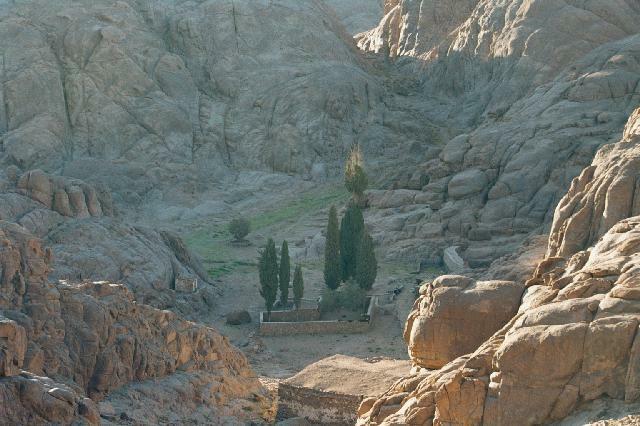 Sinai houses two chapels : a chapel on top which marks the place where Moses got his commandments and a chapel few metres below marking the Elijah's basin - the place where Elijah hid from Jezebel. Next morning we visited the monastery before heading to the desert for a two day trek. St Katherine is a Greek orthodox monastery built in 3rd century AD under the instruction of empress Helena. It houses a transplanted descendant of the Burning Bush, the chapel of the burning bush, the Moses' well and a splendid collection of gold artifacts donated by various kings across the centuries. The museum housing the gold artifacts was opened to public only a few months before our visit! Our trek in Sinai desert included a trip to the white/sugar canyon (named so due to the powdery nature of the white rocks found here), the closed canyon (named so because the canyon ends in a steep cliff) and a two night stay at a Bedouin camp, Wadi Hamdi. Although the hospitality of the Bedouins was beyond blemish, we cut short our stay due to the unbearable heat and decided to spend an extra evening at Dahab, by the sea. But we didn't know that the decision came with a price. 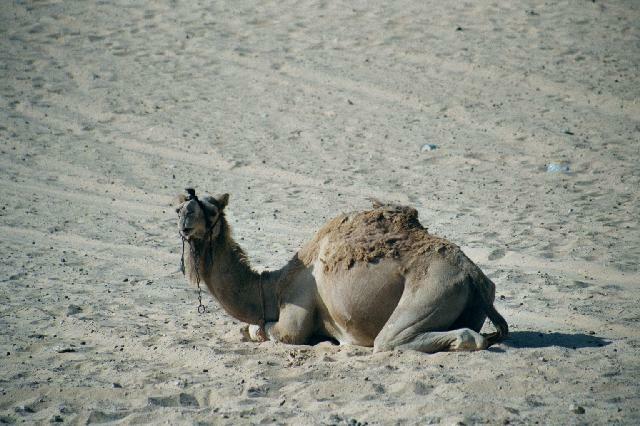 We had to ride for close to 2 hours on a Bedouin truck across the rugged Sinai desert. The ride made me realise how wrong I was to criticise the donkey ride in Luxor! The following day, me and my two friends, all of whom can manage to drown in anything deeper than a bath tub with varying degree of dexterity, decided to push our luck by opting to go for an introductory scuba dive. Although each of us spent only 30 mts under water that too between a depth of 2 to 5 m, we all would pick diving in red sea as the no. 1 highlight of the trip. With so many colourful fishes so close to the shore and surface, it was not hard for us to believe why red sea is the greatest diving spot on the planet. It may not be easy for people to believe, but we three did leave the seashore and head back into the hot desert on the following day to visit the coloured canyon. Mineral deposits in the region gives the rich colour and the name to the canyon. 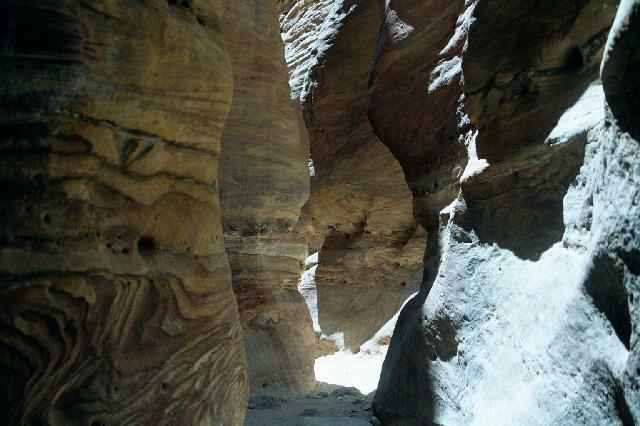 It is easily the best canyon in Sinai and at many places it was very narrow and steep requiring one to squeeze through crevices and boulders to traverse it. Sinai was the end of the first phase of our trip and after a fun filled dinner in Cairo we bid farewell to David, Jane, Tim, Taryn and Bec and headed towards Siwa to continue our trip. 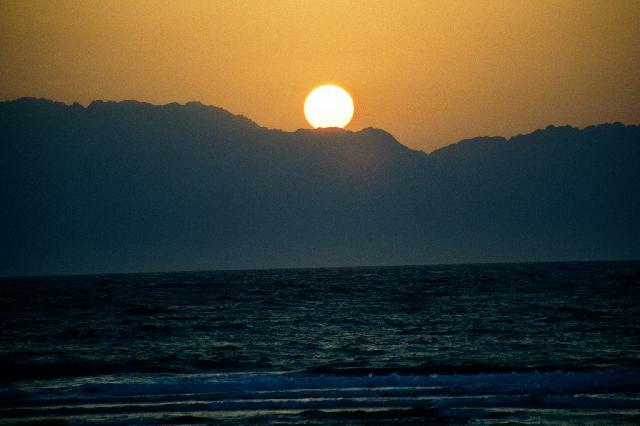 Click here for more photos from Sinai.